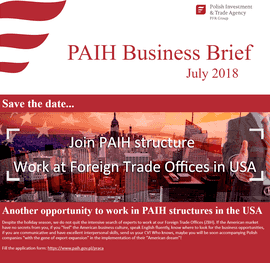 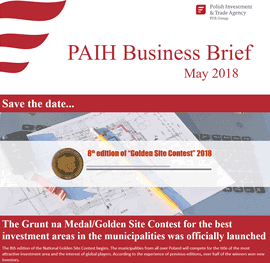 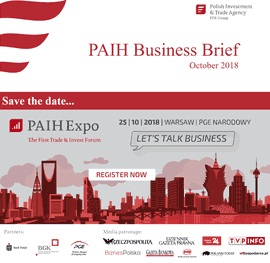 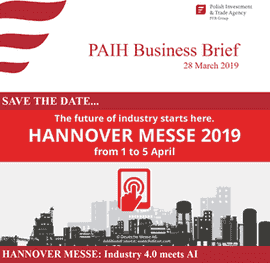 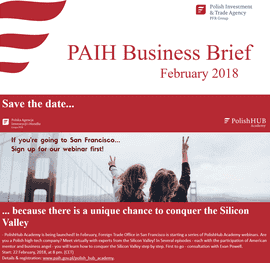 The PAIH Business Brief is a source of information regarding the most important investment projects, macroeconomic trends and significant economic events. 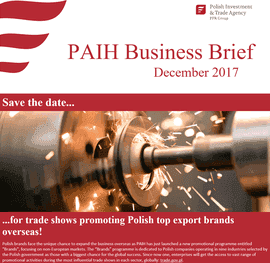 It is directed to the sphere of people that are interested in Polish investments and the promotion of Polish exports. 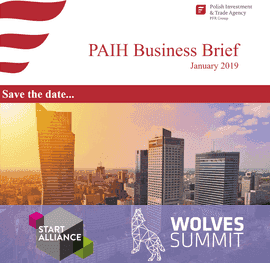 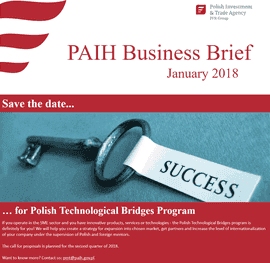 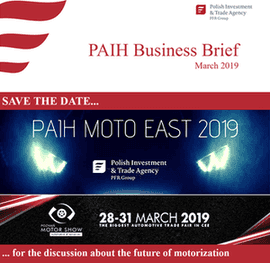 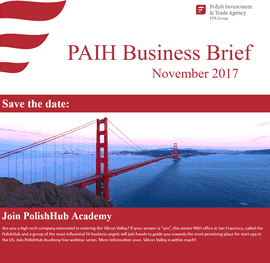 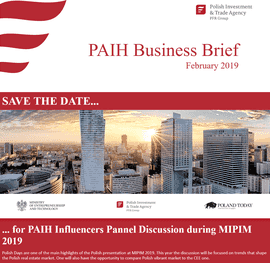 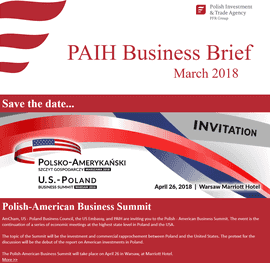 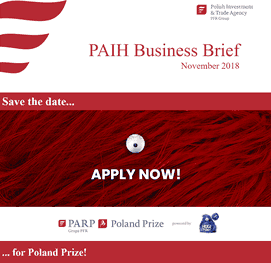 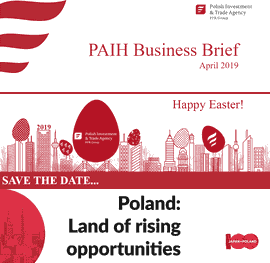 We send out the PAIH Business Brief each week, in two different languages Polish and English. 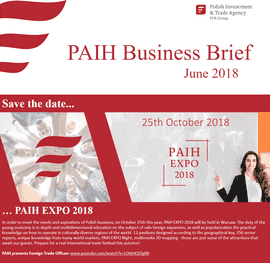 We invite our investors to send in Press Reports which will reach the 8 thousand readers of our PAIH Business Brief. 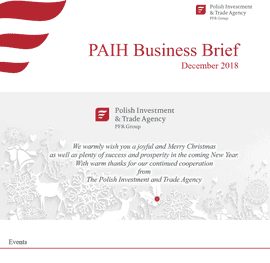 Issue 18 - Kwiecień 2019 r.
- 28 March 2019 r.
Issue 17 - March 2019 r.
Issue 16 - February 2019 r.
Issue 15 - January 2019 r.
Issue 14 - December 2018 r.
Issue 13 - November 2018 r.
Issue 12 - October 2018 r.
Issue 11 - September 2018 r.
Issue 10 - August-September 2018 r.
Issue 9 - July 2018 r.